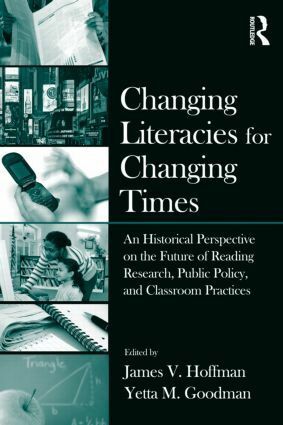 Offering the wisdom that only experience and expertise in the field can bring, this book takes a critical look into the present and the future of literacy as envisioned by leading reading researchers. The lead author of each chapter, and in some cases more than one, of the authors, is a distinguished reading researcher elected by their peers into the Reading Hall of Fame. In this book these distinguished literacy leaders extend their role as researchers to speak directly to issues of practice and policy. All chapters address the theme of literacy and the teaching of literacy as being in a constant state of change. The authors are theoretical as they describe literacy, literacy acquisition, and the teaching of literacy; they are practical as they examine the issues that classroom teachers and reading specialists engage with on a daily basis; and they are political as they advocate for informed policy at the local, state and national levels. A key message in this book is that literacy professionals must take an active role to shape change. Literacy Education at a Crossroad: Can We Counter the Trend to Marginalize Quality Teacher Education?